How to start a spiritual practice without letting go of who we are today, who we were yesterday, our pains and conditions, addictions and emotions? It is simply not possible. 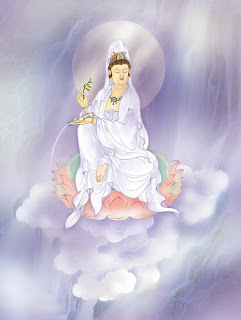 Just before the basic practice of the Lotus of Serenity, we need the practices of purification and detachment. Should be made for at least 108 days or even when we feel totally free! The detachment is in truth no attachment, ie, the ability to not need something, which is not to say that you have not this something. Letting go of a person is not to leave her, but does not require or depend on it. is knowing that if she left, she went on her way, and to another world or another house. Letting go of an emotion, it is not live it condicionadamente like a dog follows a whistle. spoke something you do not like and you react immediately, or think. Letting it is starting to observe and not get involved. Only detachment brings true love! 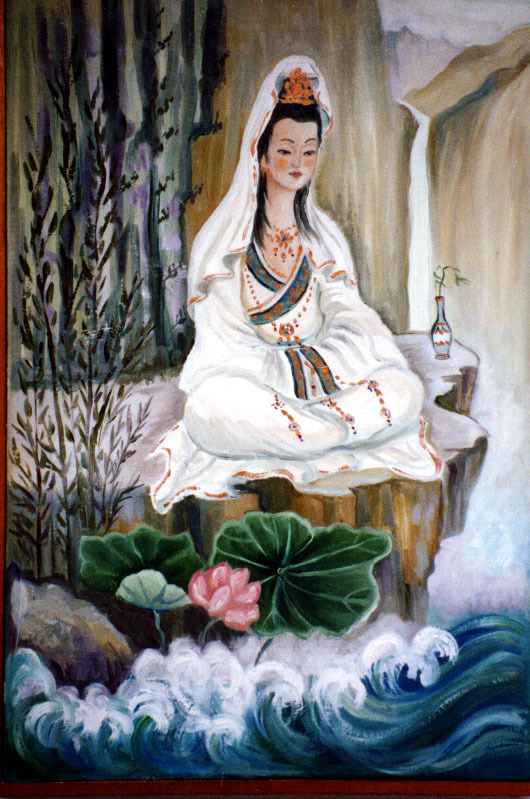 I call and call you Master Kukai open heart, dear spiritual guru of Lotus invoke you and call you with vibration of flowers and seed Love Ya Soha, guide that walks this earth. I ask you to guide my practice to perfection. BREATHE DEEPLY AND SLOW WAY TO RELAX. 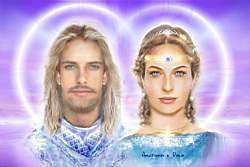 Call you and invoke you Elohin Eloha Arcturus and Diana! Full of my will, I ask that you create in me (body, spirit, mind and consciousness), being the total dispassion and perfection. That the violet flame burns strong until my total transformation. 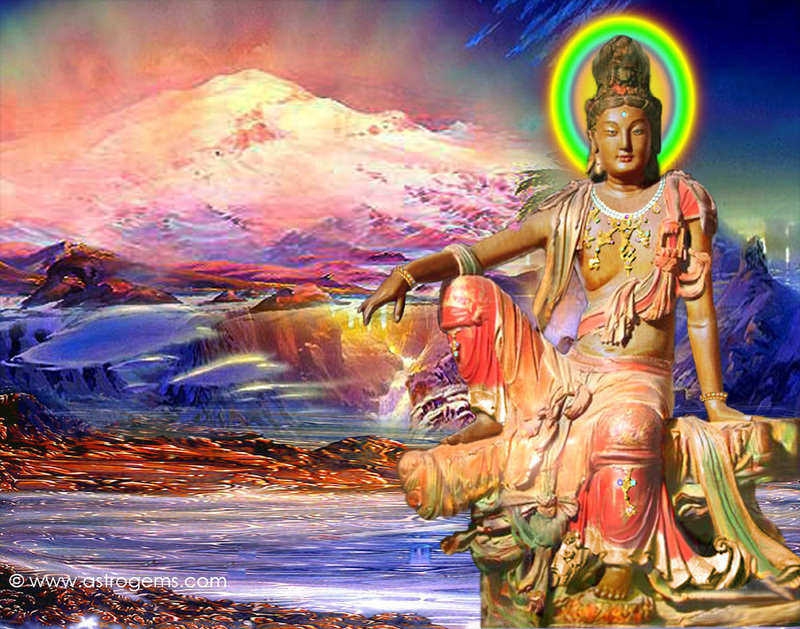 I call you and you invoke Kwan Yin beloved, compassionate face of Amida, the Buddha's smile. Lady Leaf Willow, remove my attachments, illusions and impurities, leaves me ready for lighting. NA-MO KUAN YIN YANG LIU (108x minimum). The Lord Buddha said that nothing is permanent. Noting that everything is constantly changing, he's right. So had clung anything until we're in now is foolish, because tomorrow we will not be more. So are the creators image of God, which is also creating ever changing. When meditating on impermanence of things, I was in dilemma build to last and last in truth nothing. The answer came in a clear vision of a modernized building that is keeping the old facade. Applying the relationships that we create them and reinvent them according to our own mutation. The only things that stunt the natural mutation is fear and attachment, but either way they also make things different ... for the worse. To not have suffering in this life, enjoy! Make a habit of playing to create, enjoy yourself and do not cling to your self of yesterday. Start with small things like stop doing something or change the habitual reaction to something. Choose a day to change something and then increase. Your life will become lighter and more cheerful. 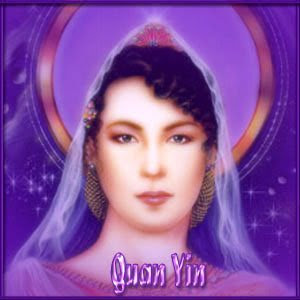 To assist in the detachment invoke the violet light of Kwan Yin and ask to live fully free! Jealousy The first and foremost is a mere reaction. The insecurity and fear (delusions) are emotions that cause. This is due to a mental programming of memory loss or a loss. Children of all who are unfaithful, who has ever lost someone, obsessive compulsive and fearful people are more prone to jealousy. The department's unique Jealousy is jealous that should get your cure this habit that only brings pain and problems, if your partner really gives it the edge for being flamboyant or may not be involved then so too must be honest with ourselves and just let the relationship, no one "makes" another person like himself and the result of insistence is a mediocre relationship and suffered. 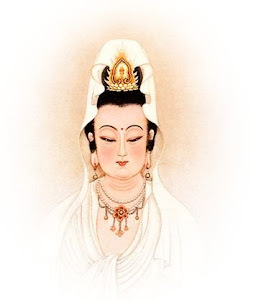 Take the practice principal of Lotus Kwan Yin asking that you heal the whole insecurity, fear, uncertainty, low self esteem and jealousy itself. In the purification, invoking Saint Germain Shiva and calling for the release of this total emotional poison. 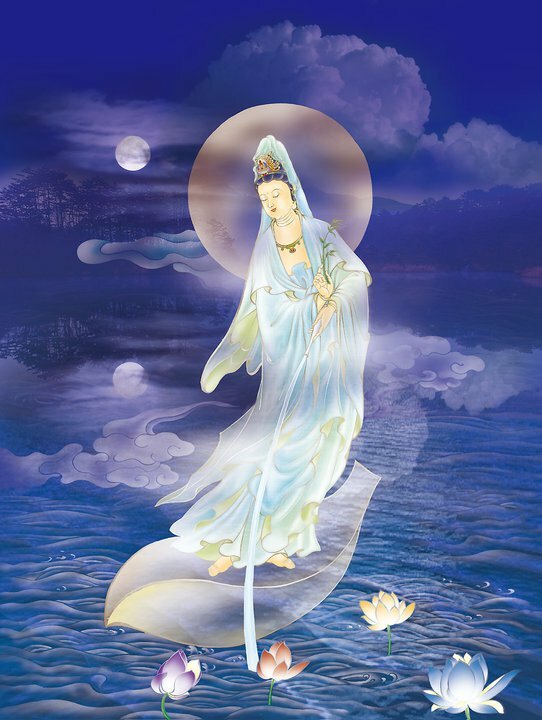 In NA-MO mantras do SHUI Yueh KUAN YIN 108x or more). 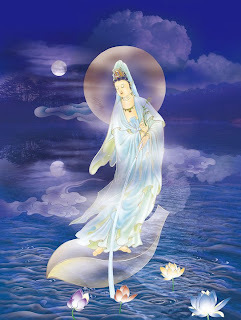 Invoking the Moon Kwan Yin and Water, to heal your emotions completely. It is a balm. You can call this the Great Mother lunar face every time you feel bad about jealousy, it helps in time. Always observe your emotions calmly, without strict vigil, forgive yourself. When starting to feel jealousy, get your thinking of others and focus on the best that is in you. Distract your mind with something. For it is not your stuffy attitude that will make your partner stay with you. Buddha For all things are impermanent and should meditate about it. Building a healthy relationship yes, not obsessed. The not attached to anything, anyone and any habit is the key to everything. That is, to love and experience love, but without relying. That this exercise will assist the much better live and love fully! In many doctrines and studies can study about the illusion. But it always seems that something is on the belief that or other people, because what is real is considered for an illusion to another. The illusion, or rather blockade, is nothing more than everything we create. Everything, good and bad. When we want something we create an illusion, an image that may even have feelings about this thing. This differs from a project only item in control. For we have the erroneous habit of wanting to control what we create or we want and this is unreal, ie more an illusion. When you want something, even be enlightened, it creates expectations and conditions for this to happen, "should so happen, or come by such a doctrine." The energy of light or divinica (Buddhic or Christ) is alive and will follow the course that allow their nature based on what you design it, no matter what conditions you have set, because it can not follow how you want it. You tell yourself you want a good, soon comes the thoughts of how well this will come to you .... this is control. 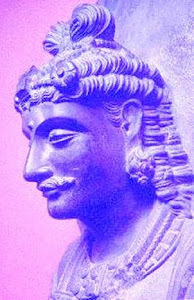 If you only plan to have it, even if it's buying, and perform all part of your project without worrying if it will get there or not, just having the absolute certainty that what is already yours, then your divine presence vai attract this well, and you just need to be grateful, even if it comes from a very different way than you imagined. Most of us, the group meditates, asks to be enlightened but not inconceivable that this could happen. Establishes that happen only occur if this or that phenomenon, or follow this or that practice. In fact, focus on light, ask them to evolve to achieve the enlightened state of being full and let him be his own take to it. No matter how long it takes, what counts is that you have inside information that this is the goal. In this case, two forms can come in addition to many others, but two main ones, you reach this state for the first time in ages or discover Lifelong already is a being of pure light and just needed to wake up. To have an indication that a particular expectation or thought is illusion, ask yourself a thousand times: for what? Fear, guilt, anger, hurt .... for what? Obvious answer: nothing. The Passion is considered a great illusion that makes you happy for a while. I wonder, is it not the passion a way to see only the divine being of the other, when we are intoxicated with their beauty? Then comes the illusion that it is the fear of loss and need for control. If we fall in love with something and leave something free and we take this to understand the divine nature that we are all one being manifested to experience, then we know that we are not separate from anyone, that we are united s everything and everyone. The only thing missing is the ability to enable feel it. Then in his morning meditation piece that can live without illusions and who knows, feel alive and being a part of divinity. Our house is full of energy, disembodied, miasmas, and problems of her own, just as we have itching, flu and stomach pain. Just take a bag of OM MANI PADME HUM (108X) for your home at least twice a week. Ask Kwan Yin into it and let your light, taking away all the shadows, disembodied and energies than pure light and harmony. For the doctrine of the Lotus fill your home and lavender roses, lavender tea to wash and put OM MANI PADME HUM to resonate. Learning to speak and live with divinity awakens in you! No matter what his or her name, only that it is a living being of total magnitude. So immense that it is capable of creating worlds and be inside you. As the author of the Book: Eat, pray and love, I prefer to call this wonderful being of God. 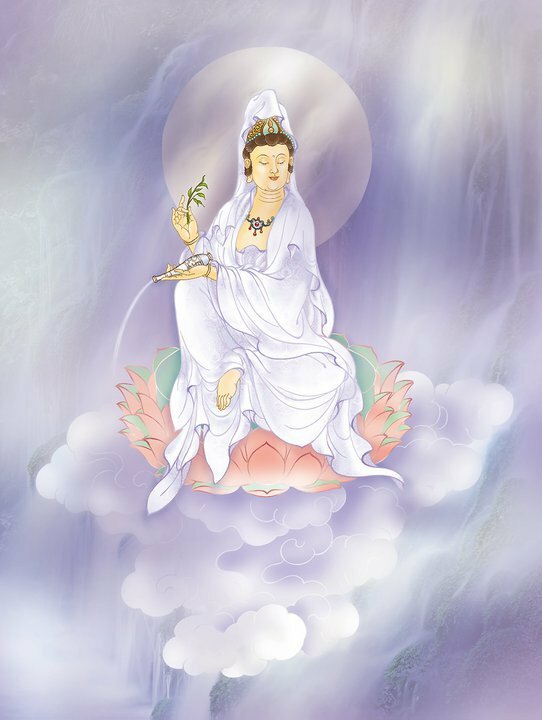 But you can call the Great Mother Kwan Yin and even, for some people attribute this energy to it, and in fact it is a major manifestation of Being Great. Many years ago I started talking to God. And today it is clear that many people do it. Start your dialogue with divinity the way you want, find it necessary to prayer or ceremony is pure myth. Be Great is to be above everything, including rituals. The rituals are good for us that we need climate, as to date, for example. A simple hi, is enough. Divinity is in you, you also are yourself in your purest self, free of creation that had, dna and neurotic. You will not be Jesus, when waking consciousness, you yourself will be equal, but full of peace and light. This is also your peace. So there are people who live alone dancing and listening to other Rock. Let the divinity part of his life as someone who lives 24 hours in you. Since the choice of his clothes until a conversation babada of toothpaste while brushing with this mouth. The presence of this feeling when SHE wants to show (it has to do with merit, but it will only). Is that everything is in their right place, everything is the will of her and everything is perfect and you are very safe. "It's all right!" This is the message. Your voice may come as a thought or as something out of it, depends on the capacity you have to tune. Some students complain to me that sometimes some deity. The coincidence is that is se4mpre at times when they are feeling sorry for themselves or lazy. Divinity is not some you coming out of tune. To return just calm down and breathe until he spoke again. It may take a while but the back line. Focus. Focus helps a lot, focus on that? In Divinity alas! If you need an image has many, all light beings of the world's beliefs. Anyone serving. 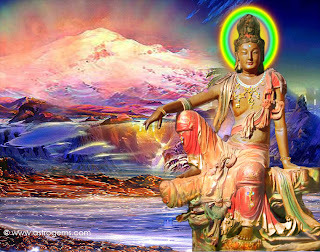 I like Kwan Yin, Seraphis Bey and Krishna. Sometimes I prefer to focus on a feeling: love, wisdom, harmony. Or feeling: to feel satisfied, at peace. Or focus on light, lots of light. Inside and outside of me. Have faith in this deity, a lot. That is, have faith in yourself. Missed all until now, know that hitting is a habit, then stop the addiction of making mistakes and let yourself be guided by this voice to hit, even if it "miss" in the beginning. This error is actually difficult to receive your information. That seemed wrong at the time but then was right. As late for a plane, because the voice commanded you walk into a store and you lost time. After discovers that this plane crashed. That's it! Now start your conversation with the love alive, light or whatever you want to call! To explain the essence of the path of the Lotus hand cast the words of Siddhartha Gautama, the historical Buddha who taught the world to your dharma: Buddhism. So Lotus is a path. I ask the ones that never become fanatical followers or say to anyone that this is the only true path or as many do, even at the cost of lives and blood. Many are the paths to the Light Source. This is just one of them. The path of compassion. 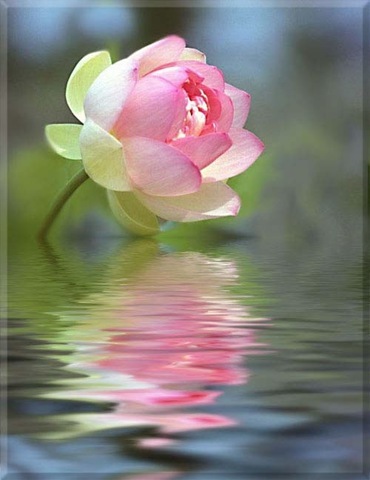 The Lotus is to develop a pipeline, a thought, a compassionate heart naturally. I've also seen people with low self-esteem think that there is such a sublime state and should love whoever owns it, this is not true. As in science or in a gym, the practices naturally lead to the goal. With patience and focus it gets anywhere. Even one who is behind the mountains, having to go through rivers, contrary to a family cumin, and a noisy environment without creating love, even taking more time arrives where will that touched her soul asked. Once the Master Chagdud Tulku Rinpoche said that to get to a certain point of meditation would need 10,000,000 mantras. Many have complained grimace and others effectively. They did not realize that a practice for lighting should be part of your routine, like anything that Objetive. You do not count the hours it would take the school to the doctorate and say that to a child, is not it? For she would be terrified. In the case of this beloved mantras Lama, he just meant that many would. There is no way to specify that a specific number you get there, because each person reacts in a way. The Lord Buddha Siddhartha tried many practices to create your own. Some people get into shape in a month of gym in six others. You know yourself, you know what has or has difficulty ease. Think. Everything is a matter of do and do without thinking about the do, but focusing on the goal. Thinking is good, mainly before choosing your path, as it should be something that brings you pleasure and joy. 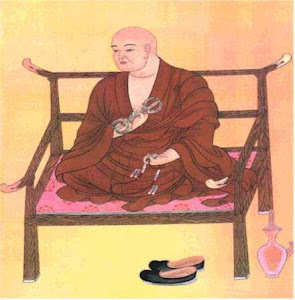 Buddha sought to end suffering, he observed how his people suffered, Dr. Edward Bach, creator of the famous Bach flower remedies, sought a remedy that does not generate more pain and acted on people's emotional, because at the time there were no remedies this Nature. Besides seeking something that would act more subtly than homeopathy, not less effective, of course. Jesus tried to teach a God-fearing people and subjugated by Rome, that God is love and that also is in everything and within each of us. And many others in their places and their proper seasons taught how to get the light according to the need they perceived. The Lotus came at this time because humanity is very lacking in love, all the time confuse love with need. Arrive in writing children's books that obsession is a kind of love, and children learn it all wrong. We also think that if we do not receive love from our parents we are unable to love, which is also an illusion, it is easy to blame the parents, even if that change is simple, we refuse. Also limit love, only love for determining that if a beautiful woman with an older man and successful. Being love something that comes from within the heart and not a desire, how to love lake and set pre programmed so that only love is real. Love is everything. It is an energy that must be practiced and manifested when souls have affinities. We can love a child, and whether or not life is saying yes. If we learn to love, to feel, then we have for all and all a compassionate feeling and the soul that has affinity we have something even more beautiful. 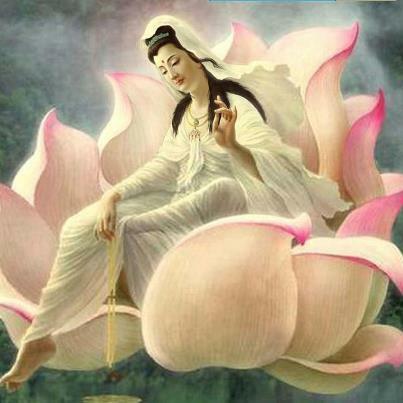 The teachings of the Lotus as the other Masters are timeless, but born by a temporal necessity. The Lotus is the practice of compassion, love natural to grow endless and increasingly live in peace and serenity: happy!